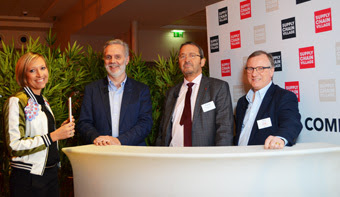 During the last Gala dinner of the Agora of Supply Chain Management (a french association of Supply Chain Directors), Léandre Boulez, Partner of Diagma, has won the competition of the Supply Chain Quiz, a set of hard-edged questions about this industry. This dinner had invited 300 guests, includig 250 Supply Chain Directors. A good opportunity to show the large knowledge and expertise of Diagma ! What is the difference between supply chain management and inventory management? What is the impact of the globalization and technology development on supply chain and transportation?